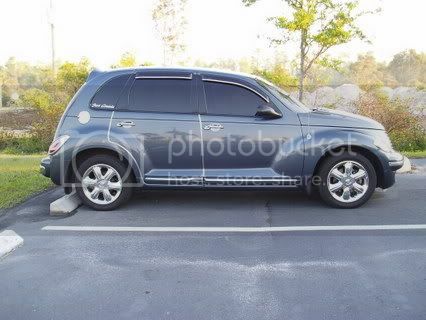 I decieded to take off that damn "PT CRUISER" decal on the side of the cruiser. I hated taking the wax from between the letters off all the time, you guys were right. It does look better on the dash board any ways, should have been there from dealer.